In this episode of car cartoon for kids a misfortune happened to Taxi. The poor car drives under the bridge. 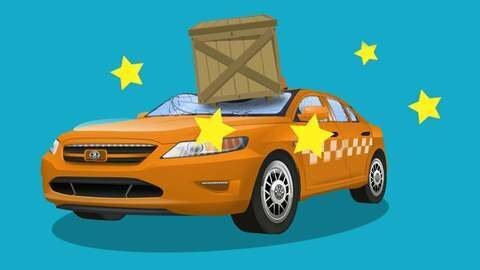 Suddenly, Crane drops a heavy box, and it lands straight on the Taxi’s roof! Crane is really sorry for what it has done, and together with Police Car it calls evacuator to take Taxi to car service.